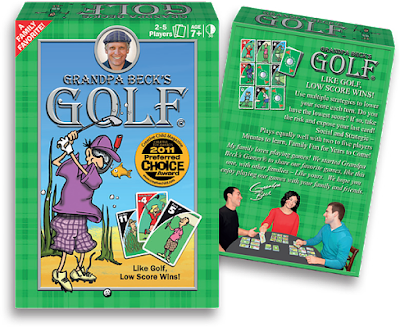 While you are looking for a gift this holiday season or just a way to spend more time with your family, you should check out Grandpa Beck’s games. They make great stocking stuffers too. Technology is a popular gift but it doesn’t really allow you to spend time together as a family. You are often caught up with the game. You don’t really have eye contact while you are playing a video game. You are distracted honestly. The best way to bond is to turn off the screens and have time together playing an old fashioned game. Grandpa Beck’s has four different card games. I love that they are portable and easy to take with you as you travel. You don’t have to worry if devices are charged or if you will lose any small pieces. You can take Grandpa Beck’s games anywhere. It would be great for a way to kill time while you are waiting. The good thing is, if you don’t finish playing, you can pick up where you left off without having to remember what pieces are where. Just stick your cards in a zip top bag and label it and you are ready for next time. High quality box and cards for long term satisfaction. I love that the box is very sturdy. My cats try and fit in anything they can find. Involves all ages in the family, from little kids to extended family relatives. It would be great for a family reunion or any family get together. It can be a game that can be passed down from generation to generation. It doesn’t matter how old you get, Grandpa Beck’s games are something you will enjoy for years to come. Cover your assets is a fun game where you try and be the first to a million dollars. You stack matching pairs of assets to create stockpiles. You have to try and capture the top pile of the highest assets. It has 96% 5-Star, 4% 4-star and over 660 total Amazon rankings. That doesn’t surprise me though. 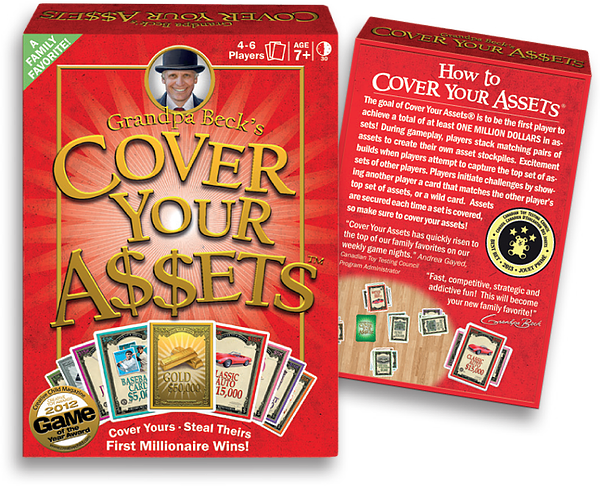 Cover your Assets is my family’s favorite game. It’s fun and fast paced. You will never know who will win. The next game is called Nuts about Mutts. It is a fast paced hand-elimination game with many unique twists. The pile in the center of the table is your dogs’ home! You can play a dog card if it matches the color, number or breed of the top card. The Mutt, Flea, Fire Hydrant, Dog House, and Pedigree cards are wild cards with special consequences! 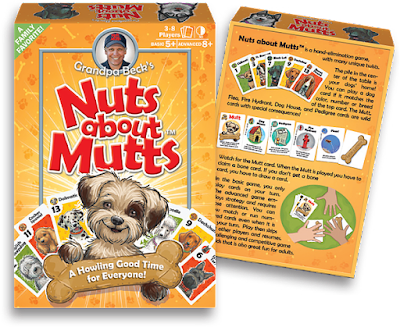 Nuts about Mutts is a great gift for dog lovers. Can be played in basic way for preschoolers or challenging for older kids and adults with speed rules used. The dogs are absolutely adorable. It reminds me of a game I used to play with my Grandma Rose called Bone Yard. Grandpa Beck's Golf is a great way for those who love golf to enjoy time with the rest of the family, and just as fun for non-golfers. 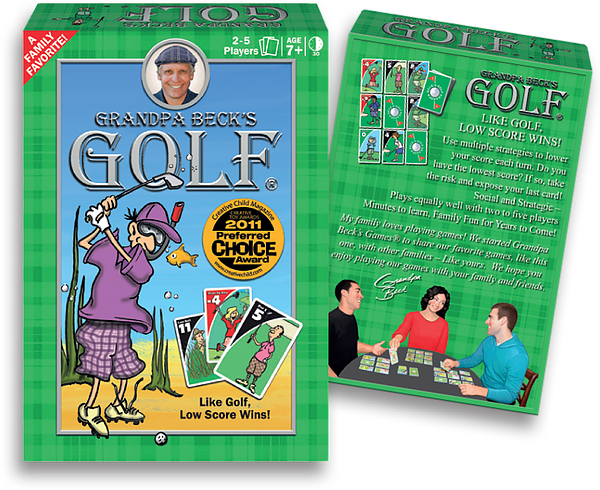 It’s a great game to play with your favorite golf lover. Finally, a game with a golf theme that is fun for the whole family! It’s not a replication of golf mechanics but, “Like Golf, the Low Score Wins!” Easy enough for all ages! Challenging enough for everyone to enjoy! Do you have the lowest sore? Take the risk and expose your last card! 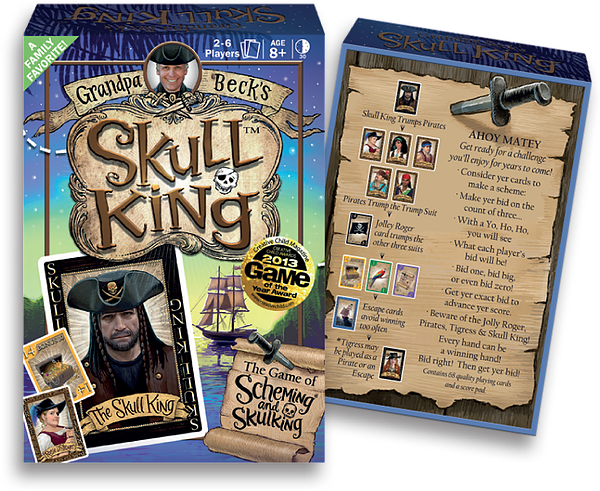 Skull King is an amazing game that will be an interesting strategy challenge for years and years of fun. The seven pirate characters are illustrated family. An exciting card game where every hand can be a winning hand... if you play your cards right! With a “Yo Ho Ho,” players simultaneously bid how many tricks they will win. Scheme to make sure you win exactly how many you bid. You’ll enjoy the depth of this game with the Trump cards, Pirate cards, Escape cards, and the special Tigress and Skull King cards. Easy to learn, but it involves keen strategy and intriguing scoring options. We have already played Grandpa Beck’s Games with family and friends. They were all a big hit. It was fun to put away the technology and focus on quality time. We also had fun discussing other things together. It’s so great to just spend time together and have fun. For more information please visit Grandpa Beck’s Games. You can order the games on Amazon. Spend 99.00 and use our coupon code DIS1019 to receive 10.00 off your purchase at checkout!